Welcome home! This beautiful home has everything you need and then some and it is situated on one of the largest homesites in Starling. This home offers 4BR's, 2.5 Baths, a Large Bonus room and an office. The large kitchen opens up to the dining and family room. Master bedroom is downstairs. 3 bedrooms, a bath and a large bonus room upstairs! This home features beautiful quartz countertops in kitchen, large island in kitchen, wood cabinets in the kitchen and baths, large tile in the foyer, kitchen, wet areas and bathrooms, new carpet in the master, upgraded light fixtures, window treatments, upgraded stainless steel appliances, washer and dryer, refrigerator...and so much more. The windows are double pane. The upstairs bonus room is sound proofed. Relax on the front or back porch! 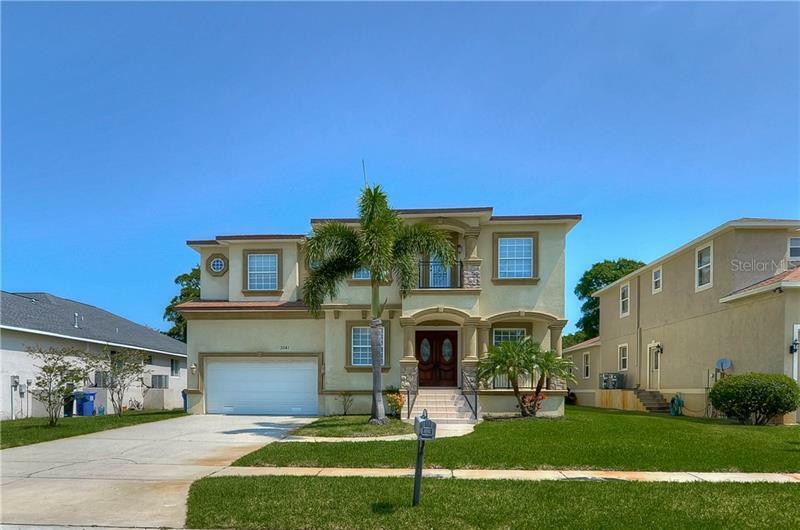 The back yard is one of the largest you will find in Fishhawk! Not only does this home have so much to offer, the community does as well!! Come and see for yourself! As a Starlling resident you have access to all three community pools, fitness centers, basketball courts, tennis courts, dog parks, the Aquatic Club, the Osprey Club, the Palmetto Club, and several other parks. It also has several miles of trails to walk or bike. A-rated schools! Come take a look at this home before it's too late!